Review Xenoblade Chronicles 2: It's a whole new World! Thread: Xenoblade Chronicles 2: It's a whole new World! Xenoblade Chronicles 2: It's a whole new World! Wow, just wow.. This game is crazy. And huge. So freaking huge! I'm 30+ hours in and I'm still getting lost on these Titans. Here's my breakdown of Xenoblade Chronicles 2. First, this game is not for those who want something they can play in very small chunks. It is a pretty deep JRPG and requires your attention for long periods of time, To get the most from this title you must devote some time to learning it's ins and outs. In as few words as I possibly can, Chronicles 2 is a Story-driven AJRPG(Action Japanese Role playing game) with an Open world theme set in a Futuristic-fantasy world called Alrest. 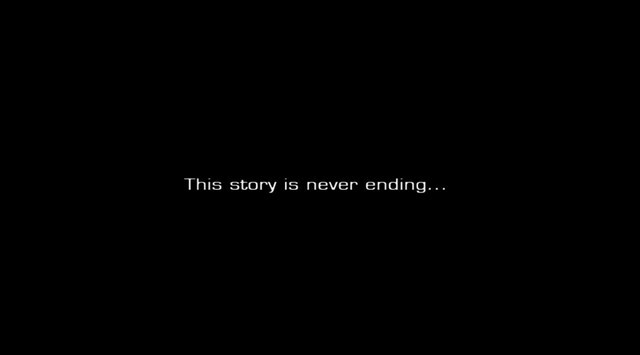 As you do in many JRPG's you start out controlling 1, maybe 2 characters and continually add or remove characters as the story progresses. This game is the third title in Monolith Soft's Xenoblade metaseries, following the original Xenoblade Chronicles and Xenoblade Chronicles X. 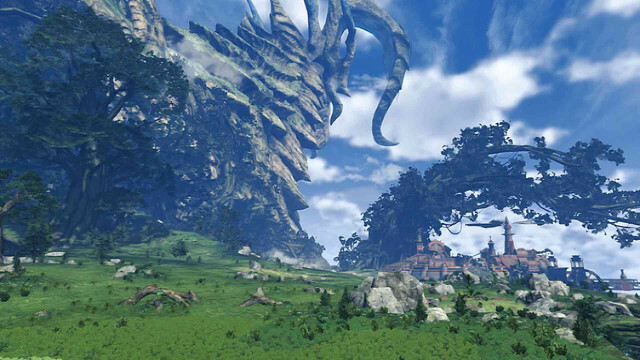 While the original Xenoblade Chronicles followed the typical structure of a general story-driven JRPG,Chronicles X received far less emphasis on story, and was organized in more of a mission-based structure, focused primarily on exploring the game's open world, Due to the negative fan reactions to the changes implemented in Chronicles X, Chronicles 2 IS more story-driven and covers two entirely new protagonists; Rex and his friend Pyra. Fantastic views and locations of all types are a hallmark of Xenoblade, one that is carried on in Chronicles 2. The landscape is great across the world, which is brought to life with bustling towns and fields filled with fauna and flora, most, players won't be required to kill. There are some locations that can be frustrating to reach, however, either blocked off behind skill requirements or with no apparent way to reach them unless players manage to stumble across it, but outside of these the world of Alrest is an absolute pleasure to wander around, and of course there's the friendly teleport system and the game simply dumping players back at the previous landmark when losing or falling too far. There are many shops to spend your money on to prepare for combat, Numerous NPCs to speak with to not only learn about this world, but also what's happening in it. Outside of the towns, the landscape is simply beautiful. The areas vary greatly from lush jungles to sandy deserts. And the game usually rewards you for simply exploring. The guiding arrow to complete missions isn't helpful most of the time. Seriously, unless you're on a single level area, and Alrest is wide, tall and full of nooks and crannies. If you aren't up for looking behind every corner, checking every hole, you'll miss your stop. My advice: You better listen to whoever is giving you an assignment because simply following the arrow at the top of the HUD will drive you insane. Over the course of the first 10+ hours, you're going to have information fed to you. Most importantly, those involving combat. Clicking through these tutorials because you think you understand will result in you promptly being destroyed by your enemies. The learning curve can be steep, You have such a wealth of options at your disposal that it can overwhelm you. Things like timing, positioning, elements, and healing all come into play — but is very intuitive to get to grips with. Combat requires a good level of attention from players and provides all the tools they need with a great UI and control scheme. Despite the combats depth only a single button press is required for a majority of the available actions. The combat system retains the feel of prior Xenoblade titles, and is the best iteration so far. 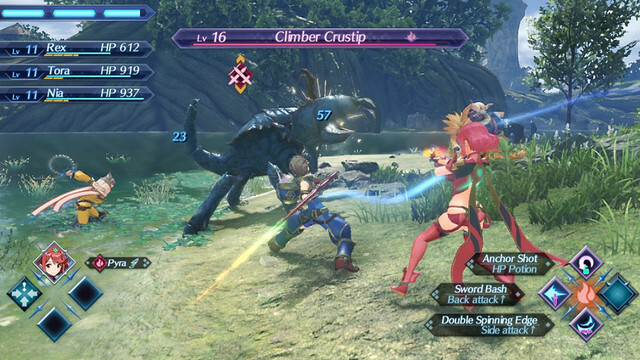 Xenoblade Chronicles 2's real-time system makes combat look action-packed but after experiencing it first hand you'll realize it's meant to be tactical. Players control one Driver, with up to two others controlled by the AI. Each Driver can have up to three Blades equipped, one of which is active, granting the Driver his or her weapon and abilities. Drivers auto-attack while standing still, and this fills up the gauges for skills called Arts(seems like a JRPG universal at this point). Using Arts fills up the gauge for specials and other powerful abilities/combos. Though the AI can't be controlled, it behaves smartly, attempting to provide combo options and other support to help turn the tide of battle. You can also adjust the Drivers' Blade loadouts if you don't like how the AI reacts. The amount of damage you can deliver is huge, if you are prepared it can greatly reduce the amount of time you're fighting an opponent. Combat is something that Xenoblade does very well. It makes you feel like a pro when you successfully bring down your opponent. Something you don't always get from a game. Probably not the deepest thing out there, but certainly entertaining. Leans heavily into ideas and mannerisms found in many Japanese manga/Anime, If those are something you enjoy, you'll thoroughly enjoy the story here. Chronicles 2's story takes a lighter tone more often than in the previous Xenoblade titles, but that's not to say drama and dark emotion aren't present when the situation calls for it. The balance works well and helps a strong cast with great interactions, and when things get serious it provides plenty of memorable moments too. 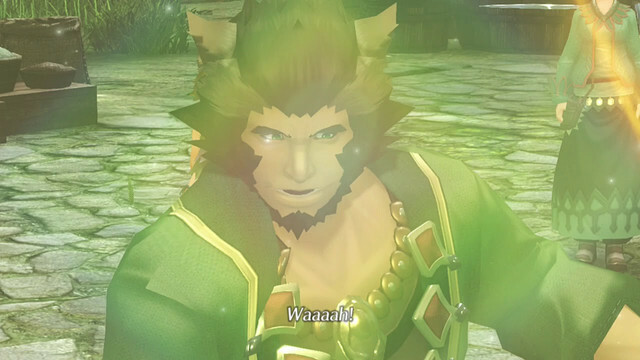 Rex himself is a optimistic and likable protagonist who is incredibly easy to root for and grows throughout the game, and all of his allies show distinct shades that make each of them notable. The antagonists get plenty of characterization as well; with plenty of screen time to cement their threat and goals, with more providing obstacles that can be overcome in the shorter-term, which only helps build upon the story of Alrest. The cast combines well with the interesting blend of sci-fi and fantasy elements as well as a great overall plot which equals a constantly engaging and memorable tale. Yasunori Mitsuda's musical direction is excellent, supported by a small selection of other composers primarily working on Battle and field tracks, they bring a wonderful selection of battle themes and complements the action nicely, while others bring further emotion and atmosphere to key cutscenes, distinct themes for the various settlements and fields further add to their character. The score is full of pleasurable tracks to listen to. The English voice acting features mostly British accents, and while a few of the more minor characters and rare Blades are a little bit too exaggerated, outside of that the performances are of high quality and bring both the cast and game to life. All of the main cast feature great performances throughout that help define the characters. The one negative with audio is in combat with talkative enemies, when there is often too much chatter, it can be hard to hear distinct statements, with subtitles not used for combat and exploration. However players can adjust the sound balance and options in the settings to help. -This game is certainly worth the price of admission. Easily in the top 3 of a very strong year for JRPG's. -Challenging but rewarding when you pull off epic Combos. -Starts slowly and it reaches its full potential after 15-20 hours. -JRPG's are not for everybody, but if you were to try one this game wouldn't be a bad one to start that JRPG life. -An update to fix the Mini map(Guiding Arrow mentioned above) and other issues is on the way. I don't believe a Score can ever define a game, but if you just read the TL;DR, Final thoughts and want a Number to finish your quick read, appeasement below.